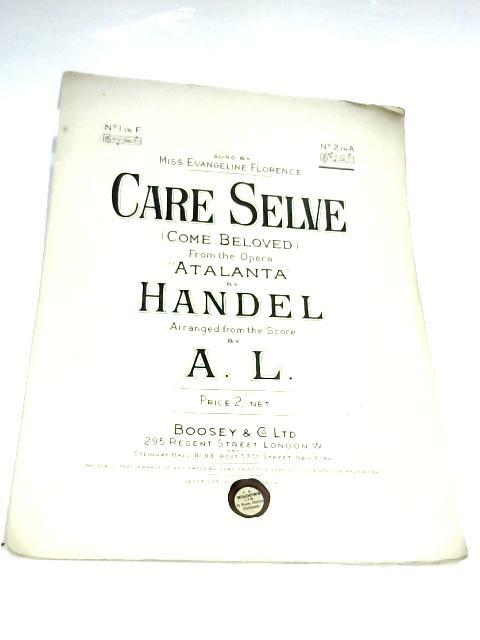 Care Selve (Come, Beloved) by Handel & A.L. 1900. 5 pages. White covers with black lettering. Bold text and bright music pages with some page curling, and chipping. Covers have some tanning, foxing and marking with some tears to the spine. Edges are lightly curled with with some small tears and chips.